On Feb 5th, 2019 Henry Gerald (Jerry) Harbaugh of Caldwell Idaho age 88 was called home to be with the Lord and his family. Jerry was born April 9th, 1930 in Mt Home Idaho to his parents Henry and Delsa Harbaugh. The family moved to Nampa Idaho where he attended school. He graduated Nampa high school 1948, that fall he was enrolled at the University of Idaho and pledged Sigma Alpha Epsilon Fraternity. On September 17,1950 he married his sweet heart Sylvia Caldwell, later they were sealed in the Idaho Falls Temple. Jerry and Silva raised 4 sons who they were very proud of, Mark (Dede), Jeffrey (Paula), Russell (Beth) and Jerry. During the Korea War he served in the United States Army Signal Corps in Fort Monmouth New Jersey. 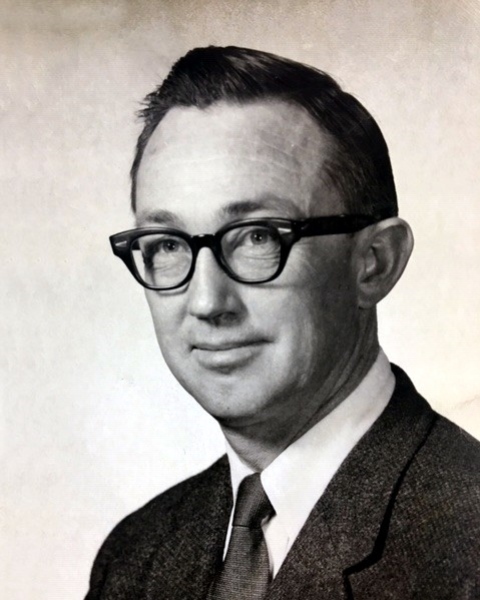 In his early years he worked at Albertsons in Nampa Idaho, later to go on to become a store Manager at many different locations in different states. After his career with Albertsons Jerry became a stock broker he also opened a produce stand on Fairview and owned a Landscape Maintenance Company servicing large commercial projects. His greatest achievement was that he worked at St Luke’s hospital in Boise for over 20 years maintaining their beautiful grounds where he retired. He was known for his love of landscaping as this was reflected by the magic and the beauty of his gardens, flowers and vegetable that were awesome to everyone that saw them. There wasn’t a train that did not interest him. A golf course that did not beckon him to play. A model T or a model A to bring back memories or a warm puppy or an old dog to make him happy. He kept up on current events, he enjoyed hunting and fishing with his sons and grandchildren, a pleasant in the corn field or a fish on the line gave him joy. He had a caring heart and will be so missed, we hope there will be popcorn in heaven as this was his every night snack since he was a little boy. Jerry was a member of the Church of Jesus Christ of Latter Day Saints where he held many positions.